He even went so far as to name a building on Amazon's campus Day 1, and when Bezos switched buildings the name followed him to his new building. Bezos thinks this focus is necessary considering what happens on Day 2, once the startup times are over. “Day 2 is stasis," he wrote in his 2016 Letter to Shareholders. "Followed by irrelevance. Followed by excruciating, painful decline. Followed by death. And that is why it is always Day 1." Bezos isn’t saying that corporate death happens overnight, admitting the decline could take decades. But as soon as you stop focusing on Day 1, Day 2 becomes inevitable. One of the tools he employs to stave off Day 2 is high-velocity decision making, expressed and executed many ways, all of which are meant to result in better, faster decisions. Six-Page Narrative Memos. No PowerPoint. A 2012 Fortune profile of Bezos revealed that senior executives start meetings at Amazon in silence, with everyone reading six-page narrative memos about the topic they are gathered to discuss, for up to 30 minutes. By making the reading of the memo part of the meeting, everyone starts on the same page, with the same information. But the more important result is getting people within the company accustomed to framing their decision-making in narrative writing, rather than bullet points. In an internal email to his senior team in 2004, Bezos explained why PowerPoint presentations were no longer allowed and would be replaced with narrative memos. "The narrative structure of a good memo forces better thought and better understanding of what's more important than what, and how, things are related," Bezos wrote. "PowerPoint-style presentations somehow give permission to gloss over ideas, flatten out any sense of relative importance, and ignore the interconnectedness of ideas." He made sure people knew it was about the way of communicating information, not about the application itself, explaining, "If someone builds a list of bullet points in Word, that would be just as bad as PowerPoint." Bezos believes this way of working enforces important discipline that saves time in the long run. Bezos also said it is important to classify decisions into two types since not all decisions have equal consequences. Type 1 decisions can't be reversed and as such require great care. Type 2 decisions can be easily reversed. "As organizations get larger, there seems to be a tendency to use the heavy-weight Type 1 decision-making process on most decisions, including many Type 2 decisions," Bezos said in his 2015 shareholder letter. "The end result of this is slowness, unthoughtful risk aversion, failure to experiment sufficiently and, consequently, diminished invention." Tracking decisions in writing also makes it easier to map how well your decisions align with expected results. It ensures decisions are being captured in institutional memory for current and future reference. Bezos highlighted that it is important to avoid shortcuts and use the right process for the right type of decisions. "Any companies that habitually use the light-weight Type 2 decision-making process to make Type 1 decisions go extinct before they get large." Bezos understands the common desire to get more data but says there is an obvious problem with that approach. "If you wait for 90%, in most cases, you're probably being slow," he wrote in his 2016 letter to shareholders. Instead, you need to make a best-effort analysis, decide, and continue learning after you decide. If you standardize your decision tracking, you can pivot and close the loop as soon as new information alters your course. "If you're good at course correcting, being wrong may be less costly than you think," Bezos writes. "Whereas being slow is going to be expensive for sure." Bezos has instituted the specific phrase "disagree and commit" within Amazon to save time. "If you have conviction on a particular direction even though there's no consensus, it's helpful to say, 'Look, I know we disagree on this but will you gamble with me on it? Disagree and commit?'" Bezos writes in the 2016 shareholder letter. "By the time you're at this point, no one can know the answer for sure, and you'll probably get a quick yes. If you're the boss, you should do this too. I disagree and commit all the time." This approach fosters open discussions and healthy disagreements while favoring the need for speed over the comfort of consensus. As part of a standardized decision tracking process, it is also useful to write down everyone's perspective to capture the different perspectives. Bezos is quick to point out that “disagree and commit” is not surrendering, but a genuine decision to trust his team. "It’s a genuine disagreement of opinion, a candid expression of my view, a chance for the team to weigh my view, and a quick, sincere commitment to go their way," he says. Bezos is guided by a focus on decision velocity to drive innovation, at the expense of consensus and even if it increases the risk of mistakes. The more you institutionalize, standardize, and track the decision-making process within your business, the quicker everyone can get aligned on the path forward and realign when things don’t go as planned. Big companies often fail to do this, as we’ve found time and again in our research. You can read the study and see where your company stands in this free downloadable white paper, Breakthrough Decision Practices. 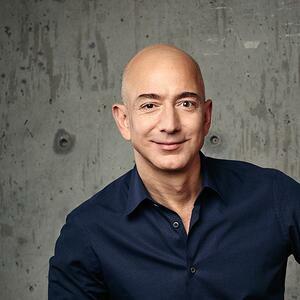 "You have to somehow make high-quality, high-velocity decisions," Bezos wrote. "It’s easy for startups and very challenging for large organizations. The senior team at Amazon is determined to keep our decision-making velocity high. Speed matters in business – plus a high-velocity decision-making environment is more fun too." Article originally published on Forbes.